Adam Lovejoy is not far from the Eiffel Tower in Paris doing some global political and economic analysis for you to study over on Stirring Trouble Internationally. European and other bankers around the world. the US print trillions of new money which upsets a lot of people. The British government is always trying to help and recently armed with appropriate weapons Syrian rebels so they can have a better start in 2014. Bashar al-Assad has weapons but they are not the weapons you thought he had. America on the other hand is in the Middle East and they are helping people to begin looking after themselves with the teachings that they have been given. The team in Afghanistan are discussing and rewriting things in Pakistan, the problem seems to be with the Taliban they have some beef about the borders and will hopefully sort themselves out too. The socialist leninist Arab far left party started of in bath were a group of people got together and eventually started a coup. They thought is would be good for Palestinians and they have been moving for peace in the area, but its been very hard. They have had many formal and informal parties talking about the situation. Organisations like WikiLeaks drew attention to the importance of this small number of people behind the scenes trying to sort things out. And yes they track back to the al Assad family a basically Arab and African left organisations that popped up when news, talks and fears came about from things like Jihad and terrorism. The thing that sprouted up the most was an argument about land in the middle east, which never seemed to settle, even today. They have tried martial law, which evolved into the Arab Spring which again never amounted enough to completely resolve the conflicts there. Many people around the world have been creating think tanks and capturing opinions through incubators to see if anyone else knows what to do. They have sat down and spoke and also actively gone out on the streets waving banners and suggested all sorts of things in the hope that someone will come up with great solutions. In the movies these sorts of things get sorted out in a very short time. 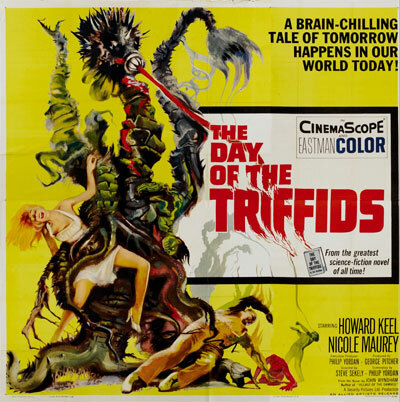 One good example of this is the sci-fi British horror spoof 'The Day of the Triffids'. In this film very quickly people begin to understand who the enemy are, what they are capable of and what there weaknesses were as well as avoid the nasty sting of the tentacles. The plants would paralyse then eat people. The people in the area quickly came up with the perfect weed killer and the film ended on a happy note. This has not been the case in the middle east in fact its nothing like the film I am just making a very important point. The more people talk about things the more you understand the agendas that are holding back peaceful actions and neighbourly reconciliations.